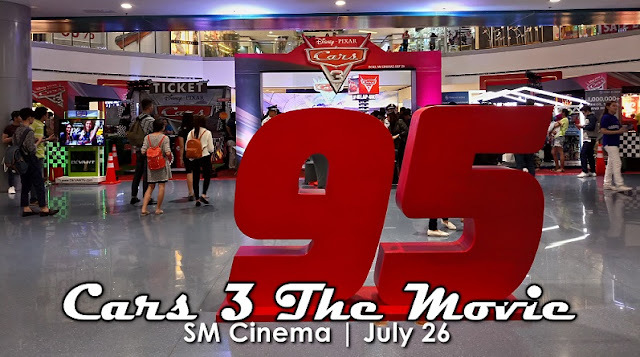 Start your engine, ready your gears and head on to an exciting ride as SM Cinema, in partnership with The Walt Disney Company (Philippines) launched Cars 3 at SM City North EDSA last July 19. 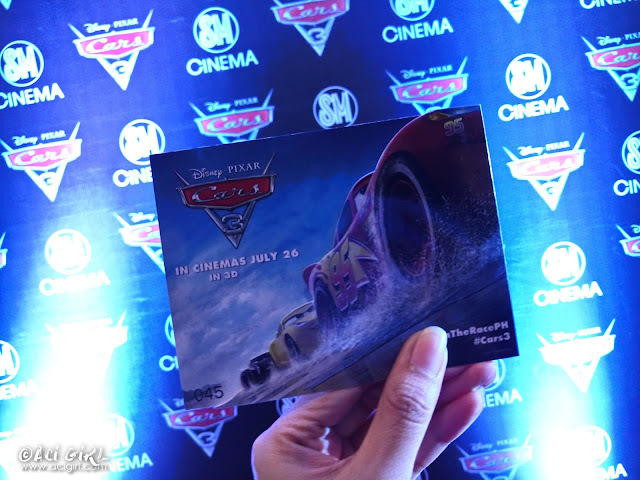 SM Cinema, and Disney, in celebration of the upcoming release of Cars 3 on July 26 brings a whole new experience to their movie goers as they unveil the life-size replica of Lightning McQueen with the former racing champ, and three-time Karter of the Year awardee, Matteo Guidicelli. All movie goers and shoppers can also enjoy exciting activities and exclusive Cars 3 toys and collectibles by Mattel. 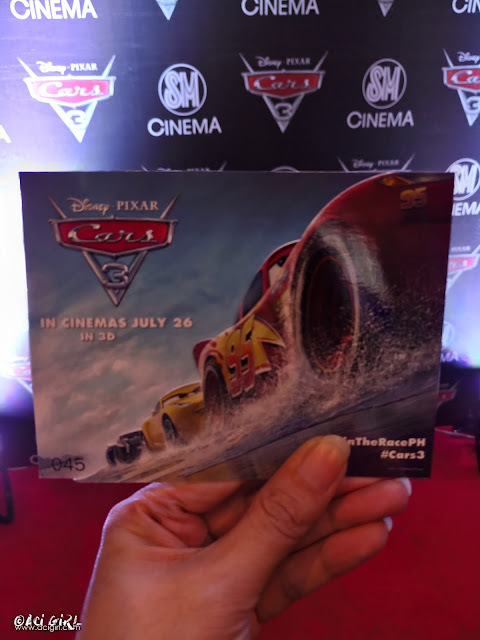 All guests are also in for a treat as SM Cinema premiers Cars 3 right after the launch. Special advance screenings of the movie will also follow at SM City Clark (July 20), and SM Seaside City Cebu (July 21). “Cars 3” features Owen Wilson as the voice of Lightning McQueen. 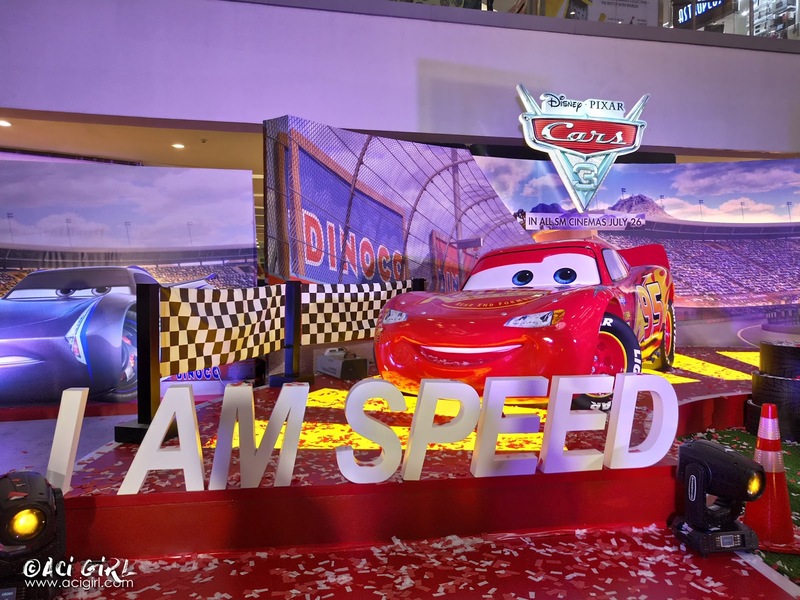 Cristela Alonzo voices tech-savvy trainer Cruz Ramirez, who tries to help Lightning return to greatness, and Armie Hammer lends his voice to next-gen racer Jackson Storm, whose high-tech speed leaves Lightning McQueen behind.